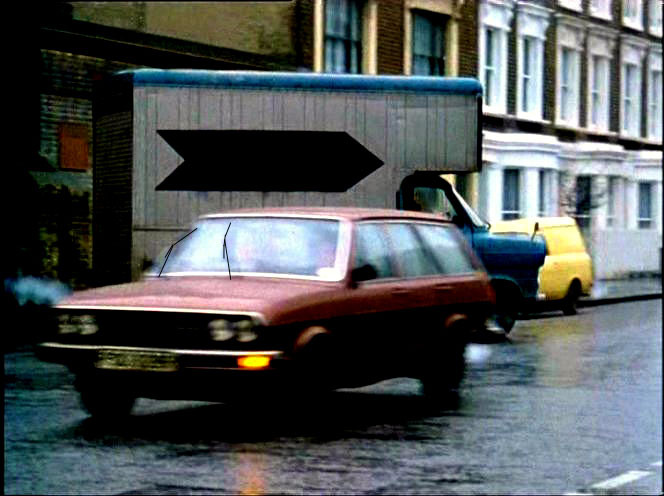 IMCDb.org: 1976 Audi 80 Estate GL B1 [Typ 80] in "The Sweeney, 1975-1978"
B1 (Typ 80). This is a rare car. I've never seen one of these before. Spritual ancestor to the A4 Avant, I suppose. I had forgotten this model existed. Good find. dudley wrote I've never seen one of these before. Spritual ancestor to the A4 Avant, I suppose. I think they were rare in the UK because VAG pushed the near-identical VW Passat Estate instead. i have doubts, that "made for uk" is correct. at first only in the usa the passat variant/dasher wagon was named audi fox, at second it has us-bumpers. unfortunately hard to see, if lhd or rhd. i am quite sure, that it was an us-version, which had found the way to britain. by the way, its very easy to make an audi from a passat. just change the grille, at the european version the lamps either. less than 15 minutes work. only one screwdriver is needed. The wiper system is certainly RHD. You can clearly see the wiper arms are in use and sweeping towards the right hand 'A' pillar. Its UK registered and carries a tax disc. I don't believe you can see through the windscreen due to reflected daylight. Its built for the UK market I think. The pivot points for the wiper arms are seen below the bottom of the windscreen even if the arms and blades are blurred. I saw for sure some in Israel (mk I one in sky blue in L trim with single headlights and a similar one in another colour I cannot recall) and possibly in some Arab countruìes. 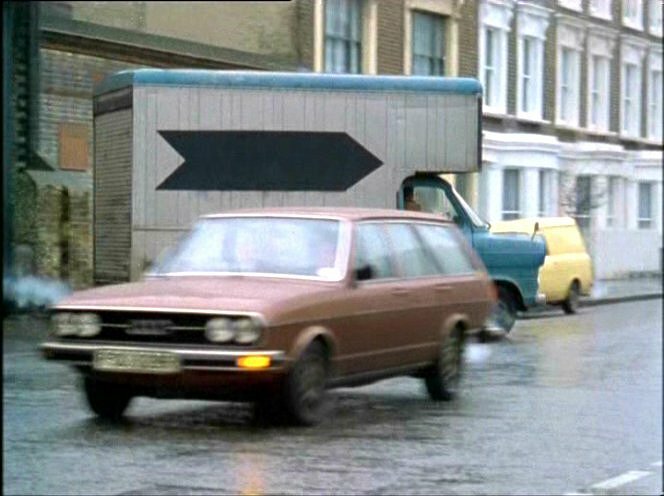 I met a burgundy one (in the L trim) in an Autobahn near Munich in the 80s but I suspected at the time it was originally a Passat with an Audi 80 grille. Sorry but I think Ingo is wrong. I read the rear scrip Audi on those cars seen in UK and in Israel. Estate launched in UK June 75 as GL, 1470cc. Sept 75 upgraded to 1588cc, Sept 76 wrapround bigger bumpers and renamed GLS, discontinued Aug 78. This looks like R plate = 1976-77. That explains a confusing cross-reference on a different page in Glass's to rectangular headlights.